As flood waters begin to recede and you are able to get back in flooded fields and assess damage to crops the question of “how bad do my soybeans look” and “do I have to harvest my flooded soybeans” will be on a lot of minds. The first step will be to document everything. This means taking pictures as soon as you can get back to a field so you can use those pictures to help make decisions with your insurance adjustor. The second step is to report a notice of loss at the first opportunity and meet with your insurance adjustors to determine what the level of loss is. 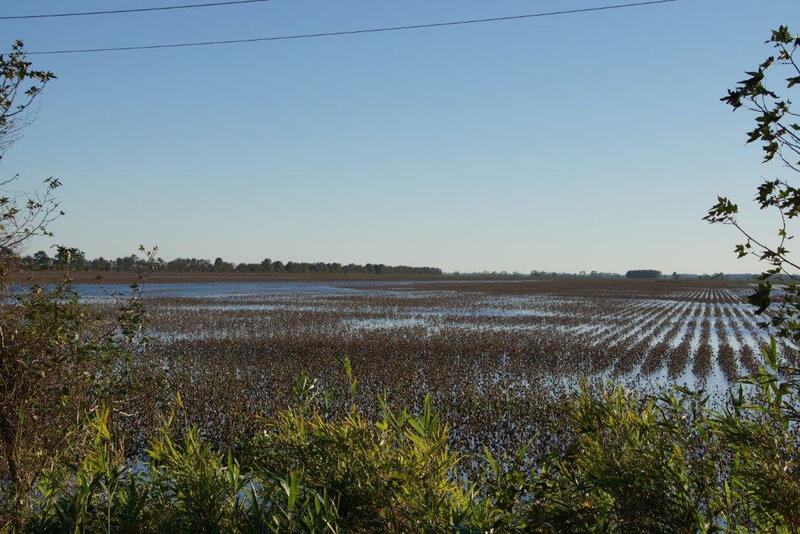 Soybeans submerged in flood waters originating off the farm are considered by the U.S. FDA to be adulterated and unfit for consumption. Farmers should discuss this with insurance adjustor as a priority item and document flooding and crop damage to the fullest extent possible, before harvesting or destroying any crops. Commodities such as grains, nuts, corn and similar products stored in bulk. The FDA guidance applies to crops that were flooded with water from rivers, creeks or streams. Pooled water, or rainwater that has collected in the field, is different from floodwater and is not likely to contaminate field crops. According to the NCDA&CS, “Grain material affected by flooding is considered as distinctly low quality (DLQ) and certified as U.S. Sample Grade. Official personnel must report lots that are DLQ to the district FDA office as actionable.” DLQ grain is of inferior quality because it is in an unusual state or condition, and cannot be graded properly by use of other grading factors provided in the standards. The determination of DLQ is made on the basis of the lot as a whole at the time of sampling when a condition exists that may or may not appear in the representative sample and /or the sample as a whole. Farmers must be aware of this, and should not mix flooded, submerged, or otherwise moisture damaged beans with the good beans, at risk of spoiling the entire lot and / or having the lot rejected at the market. While these products cannot be used for human food, FDA has established a process by which a request can be submitted to divert these products to animal feed provided that they pass a testing protocol. 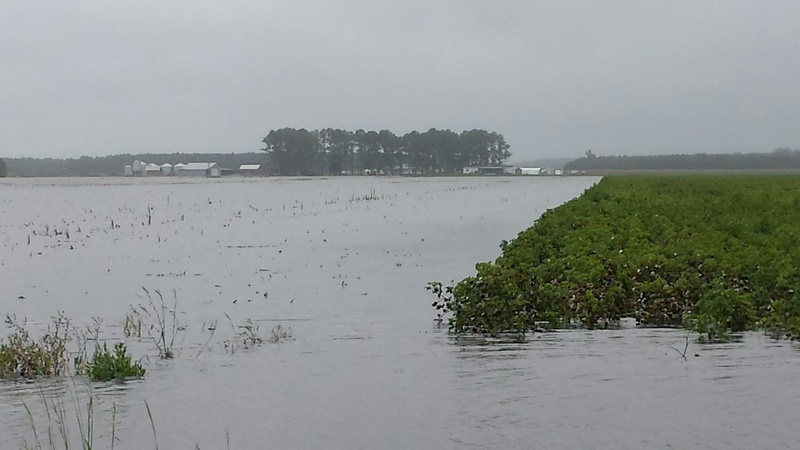 In an effort to assist farmers in recovering from flood-related impacts, NCDA&CS is collaborating with N. C. State Extension in the College of Agriculture and Life Sciences (CALS) at North Carolina State University to help farmers to determine safe uses for flood-impacted crops and commodities. actions until your request has been approved. Please contact your local Cooperative Extension Agent for further information and guidance. To assist those submitting diversion requests requiring sample testing, NCDA&CS will provide all testing at no cost to the farm. “This testing process can help farmers find alternative uses for their crops and commodities while maintaining confidence in the safety of our food supply,” Troxler said. We are committed to working with NCDA&CS and NCSU to helping in this recovery effort. Please feel free to contact us if you have any more questions.